Have you always wanted a clean and well-shaven face and body? Well, there are millions of people who think like you. A statistics shows that 58% of millennials (those born or entering adulthood in the 21st century) manscape. Another study conducted by Flinders University in Australia show that 66% of heterosexual males and 82% of homosexual males shave their hair from their body. For those who’ve never tried to manscape before, these statistics should encourage you to take the plunge. In addition, another study conducted in the UK shows that 57% of women consider poor body grooming in men as a major turn-off. Doesn’t this convince you to try manscaping, if you’ve never done it before? Well, we have a bunch of do’s and don’ts in manscaping that is sure to help both beginners and those experienced in manscaping. Let’s first look at the do’s, so we know what to do. The first step to getting on the process of manscaping is to get the right tools. 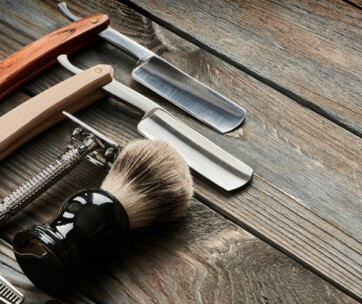 Most of these tools are available online or in local grooming shops. Don’t skimp on your razors. Never use the same razors that you use to shave for removing the hair below your neck. In fact, you can leave the expensive blades for your face and keep the less-expensive ones for your body. Getting the hair off your back is almost impossible to do by yourself, that is if you want to do a clean job. It is best you leave that part to professionals who use wax to get these hair off your back. Many professional salons use hot wax to remove the skin off your back. Typically, they apply a layer of hot wax (don’t worry, it will be at a bearable heat) and when the hair on your back sticks to this hot wax, they will use a simple cotton cloth to take it off. If you don’t want to go to a salon, ask a professional groomer to come home and do the job for you. But, make sure you buy good quality wax to prevent any blisters or rashes on your skin. Body waxing kits also do a good job. A mangroomer is a convenient tool that will help you to reach those hard-to-reach areas. By using this tool you don’t have to stretch your muscles and get a sprain. Also, you have a better chance of getting a clean shave all over the body when you use a mangroomer. Use a shaving gel for your face and a body gel for the rest of your body. You need two types of gels because the two skin areas are different from each other. Your facial skin is softer than the rest of your body. Also, your face is more exposed to dirt and dust than say you chest or back. This is why you need a shave gel that moisturizes and exfoliates your facial skin while the gel for your body doesn’t need a lot of exfoliation ingredients. Body groomer is a great alternate to using razors. This tool gives you a close shave without being too harsh on your body. 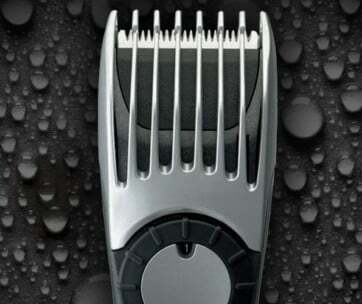 Also, the possibility of cuts is greatly reduced when you use this body grooming tool. Another advantage with this tool is that you don’t have to look bare after a shave. You can choose to have a small stubble, especially in your pubic areas. This is why a body groomer is most ideal to shave off your pubic hair. Most of us hate to have hair in our nasal area, but unfortunately, that’s not within our control. Instead, what we can do is get a tool that will shave this hair, without giving us any pain. Nose-hair trimmers can take out even the tiniest of hairs from the nose without making you sneeze all the way. Some even come with a tiny headlight to illuminate your nostrils, so you can do a better job at trimming your nasal hair. Can you see those hairs growing out of your ears? Well, so can others, and this means, you’ll have to get them off for a well-groomed look. These ear trimmers are fairly easy to use and can trim hairs growing right inside your ears as well! If you hate the idea of using any razors and groomers to take the hair off your body, you can consider hair removal creams. These creams are fairly easy to use and do a good job in removing your body hair. Apply these creams generously, take a piece of cloth and remove the hair. The advantage with this type of removal is that it slows down the rate of growth of your hair, so you won’t have to do it often. In short, these are some essentials that should be in your kit always. There are many brands that offer these products, so make sure you do some research to identify the brands that work best for you. Once you have the tools ready, it is time to start trimming your hair all over the body. Start with the chest as this is the largest part of the body and the one that is easiest to clean. Stand in front of a mirror and start mowing down those chest hairs. You can use an electric trimmer to keep the hair at a uniform density. This area is more visible to the world than your chest, especially if your wear sleeveless shirts or if you like playing games with your favorite jerseys. While you don’t have to completely eliminate the hair here, make sure to keep them just a tad longer than the surrounding areas. The idea is, it should shape as a pit without actually looking like a landfill! Move on to your shoulders and back. The shoulders and hands are fairly easy to do, while the back needs help. You can ask a friend or family member to remove the hair on your back. Or you can take professional help. You can even visit a salon to wax all your back hair. Again the advantage is, waxing thins down your hair and reduces its rate of growth. Use nose and ear trimmers to remove those teeny hairs on your nose and ears. If you think it’s not needed, well think again because it can spoil that perfectly groomed look. After all, you have put in the effort to trim the rest of the body, why leave out these easy areas? Shaving your beard is a whole new topic altogether because there is so much you should do to maintain it. But, for a clean look, simply shave it off completely. Clean your pubic hair with a pubic hair trimmer, but don’t mow down completely. Working through these different body parts can give you the perfect manscape. Though you have shaved for many years, it still makes sense to talk about it because not all of us get the shaving done right. Also, shaving your beard is vastly different from manscaping the entire body. So, here are some aspects to keep in mind while trying to get that perfect look. Lather up the entire body with water and soap. Remember, mopping with water is easier than doing it dry. Use a good quality soap, conditioner or gel (anything that you prefer and works for you) to work up a good lather. In fact, the added advantage is, a good gel can exfoliate and remove the dead cells, so your body looks fresh after the manscape. You should always shave in light and short strokes. Putting all your energy to raze down the hair is never a good idea as you get hurt and the result could end up being uneven. In other words, you’ll have more razor cuts when you try to remove all the hair in one stroke! So, do take some time to get those groomed looks. Use scissors and tweezers to remove the small pieces of hair left behind after you wax or shave. Even the most experienced men cannot get all the hair out in one shave. So, be open to tweezers and learn how to use them, if you’ve never used them before. Don’t try precision in your manscaping. All that you’re trying to do is to have a groomed look, so don’t make it look like you’ve gone under a machine for it. At the same time, it should not look uneven and patchy too. So, do the trimming and try to be accurate. But, you don’t really have to measure every hair to ensure that it is of the same length! Wear comfortable clothing after you shave. Your body is already a little stressed with all those hair removal, so don’t make it worse by sporting something tight. Wear breathable clothes, preferably cotton, to allow some air to heal your cuts. Sometimes, manscaping can cause irritation on your skin. It depends on the products you use, the sensitivity of your skin and even the time you spend for manscaping. If you have a lot of time, then you may do it slowly, thereby reducing the chances of getting cut. Otherwise, you will be in a mood to mow down those hair. Either way, keep some ointments ready. Alternately, you can also use natural oils like coconut oil for faster healing. 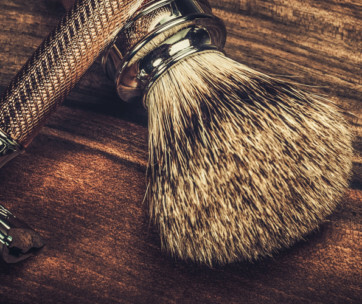 Make sure you clean your razors and sterilize the blades with alcohol after every round of manscaping. This is important to ensure that the dirt doesn’t get accumulated in it and you don’t get skin rashes and infections with repeated use. Now that we’ve looked at what you should do, let’s also look at the other side to know what you shouldn’t. Do-it-yourself ideas are get for crafts and carpentry, but definitely not for the hair on your back. If you try to use a razor or wax by yourself, without any other individual’s help, you’ll most likely harm yourself. It could even end up in blood and a sweaty rash. The idea of manscaping is to make you look groomed. The idea is never to turn you back into a pre-pubescent boy. You should have some hair on your chest, arms and legs – this is the golden rule of manscaping. However, the hair should be well-trimmed and even and it should not be flowing in all directions like a wild animal. For this, never attempt a clean shave, as it could make you look funny more than anything else! 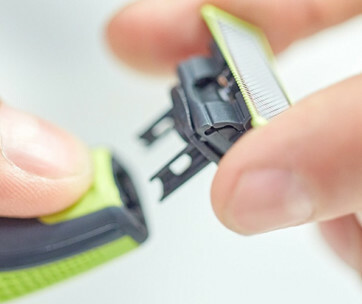 Though many people prefer to use razors because they are cheap and easy, in reality, a trimmer works better. 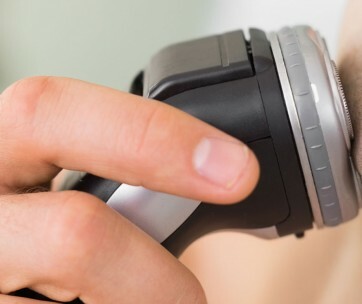 With a trimmer, you have better control over how much hair is trimmed down and you can maintain uniformity. With razors, some parts will end up being smoother than others. Some products may cause skin rashes, especially if you’re allergic to certain components present in it. These products can cause skin rashes or irritation. Never ignore these rashes. Keep a watch over them and if it doesn’t get better in a day or two, see your healthcare provider. If you get blisters, go to a doctor right away. Above everything, trust your instincts and go with it. Overall, manscaping can make you look like a macho and give you the well-groomed looks that every woman wants. Fortunately, manscaping is easy and even a fun process, once you get the hang of it. Just keep in mind the above-mentioned do’s and don’ts while manscaping. That’s it! Go on and show off your perfect body to the world.